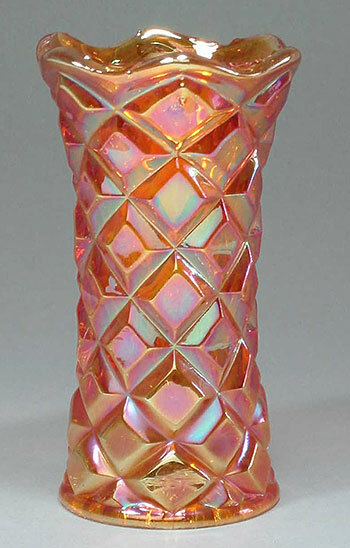 This 5.5-inch vase was first reported in Glen and Steve Thistlewood's e-book, Carnival Glass from Sweden. It is shown in Eda's 1929 catalog, and has been found in marigold and blue. There is also a 10-inch version found, thus far, only in marigold.